All of our hatches are 100% watertight, and can be provided for any size requirement and for any design pressure. Additional load factors such as wheel loads and point loads from material handling equipment can be easily incorporated into your custom design. 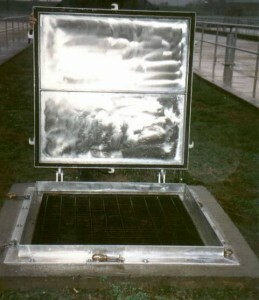 Our hatches are available in both flush and raised configurations, and are operable from one side or both sides. 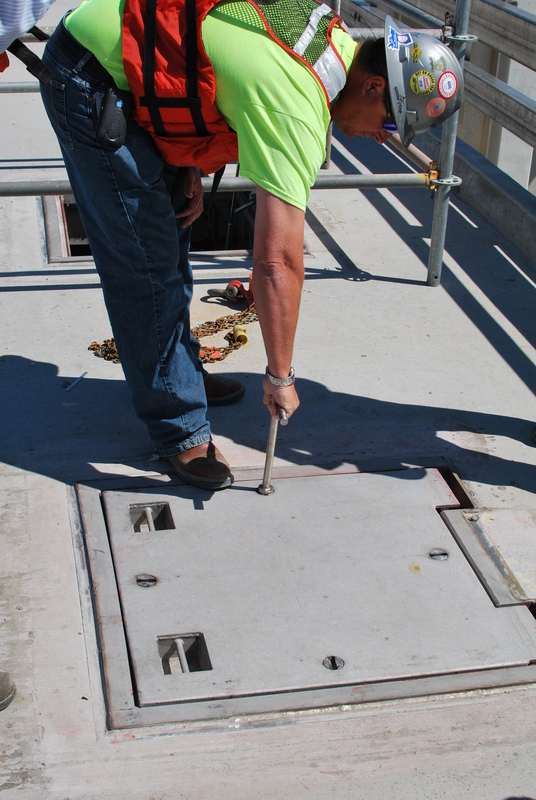 Utilizing a mechanical seal (gasket), our hatches can be sealed utilizing individual dogs, quick-acting handwheels, or drop bolts. Larger hatches require some type of mechanical assist for opening and closing the hatch panel, including the use of gas springs, coil springs, and counter-weights. Power operation is always an option. © Copyright 2014 Walz & Krenzer, Inc.. All Rights Reserved .